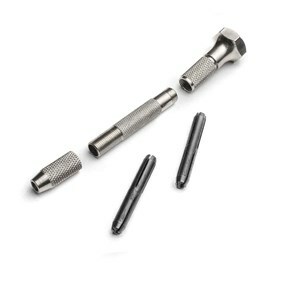 A pin vice is a really useful tool for precise work, when working by hand would be more suitable than using an electric drill or multitool. As it can be used with many different attachments it is an often used tool in the jewellery making workshop. 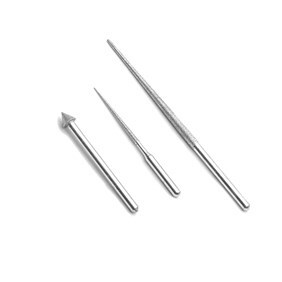 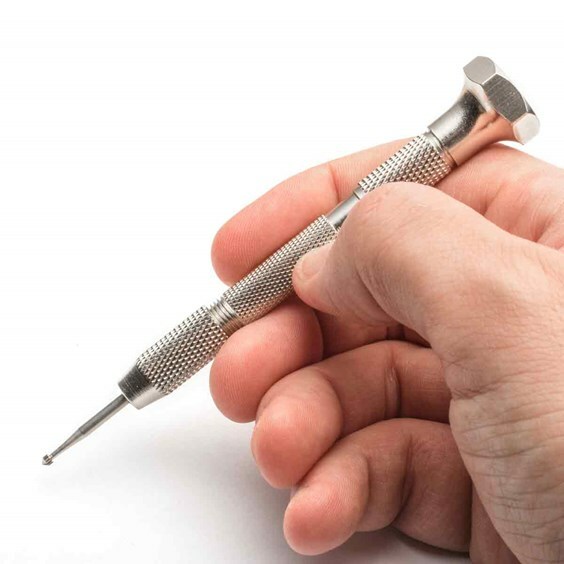 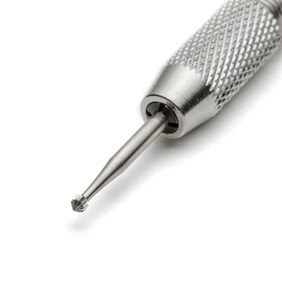 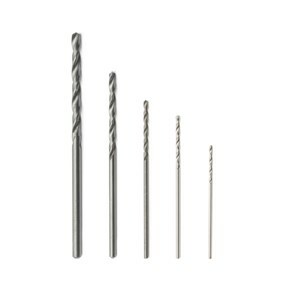 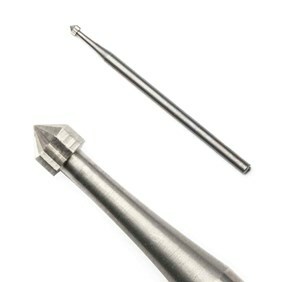 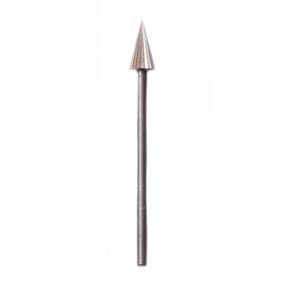 Use for hand drilling using twist drill bits; for fine and precise stone setting adjustments using stone setting burrs; with a cup burr for rounding sharp ends of wire; enlarging and neatening holes in beads with diamond tipped bead reamer points; a point can be inserted for use as a scribe to mark metal when designing and cutting metal sheet. The top of the vice has an indentation to comfortably house your finger and to prevent it from slipping off during working. 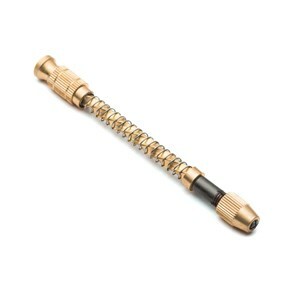 It also has an all-important swivel head, meaning that the top part is free spinning so you can twist the textured, non-slip shaft with ease whilst applying the necessary pressure. 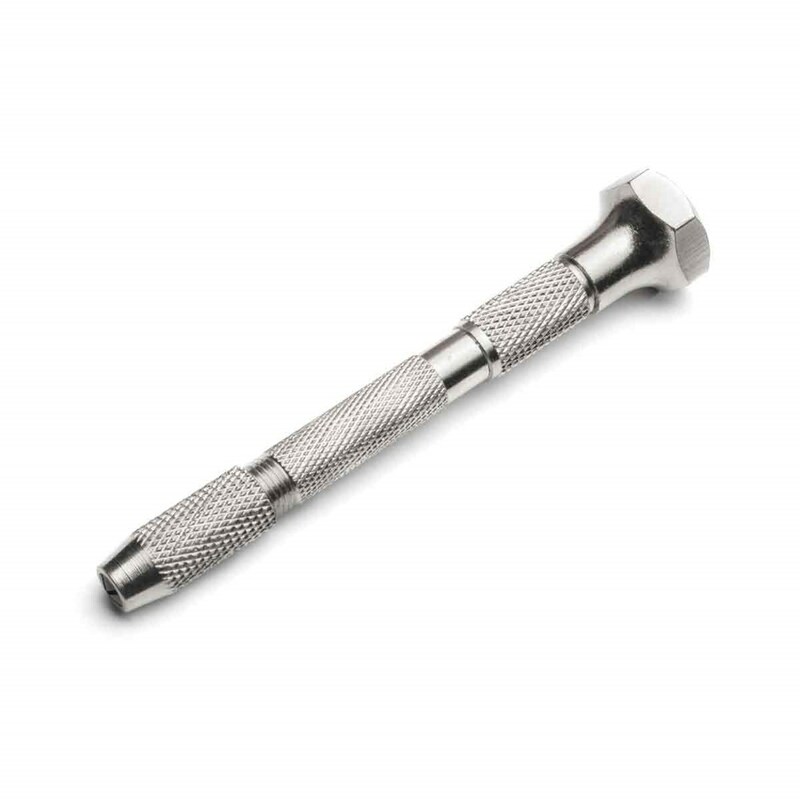 It has two double ended collets which neatly store away inside the shaft giving you four collet sizes to take shanks up to 3.2mm.